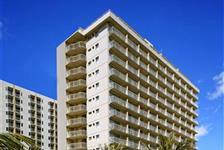 Aqua Maile Sky Court is not currently available. 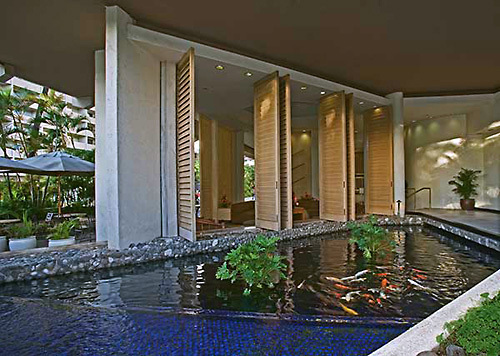 Check out our other great Oahu Hotels. 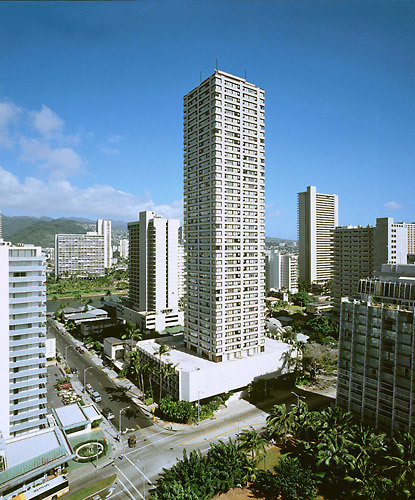 Situated just steps from Waikiki Beach, the Hawaii Convention Center and the Honolulu Zoo, Maile Sky Court Hotel offers high-rise accommodations in a convenient Honolulu location. Guests can enjoy in-room cable TV, mini refrigerators, coffee makers and more, as well as an outdoor pool and whirlpool spa, on-site laundry facilities, a business center, a steakhouse, and other convenient amenities. Upper floor rooms have ocean views. 0.6 miles from Waikiki Beach. 1.2 miles from the Honolulu Zoo. Shuttle service to the Ala Moana Center shopping mall. Late check-out time of noon. Towering above the magnificent Waikiki Coast, the Maile Sky Court Waikiki is a high-rise hotel at the western end of Waikiki, Oahu. 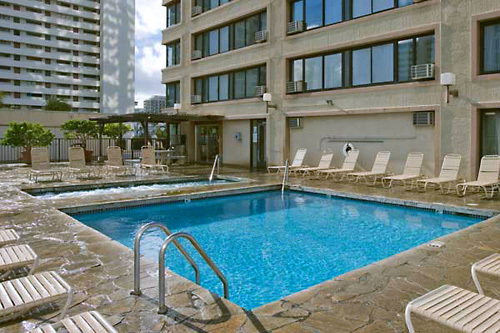 Part of our Aqua Lite Line, this affordable Honolulu hotel is an exceptional value for travelers seeking comfortable Waikiki accommodations steps from the golden sands and sparkling surf of Waikiki Beach, as well as the International Market Place and Hawaii Convention Center. 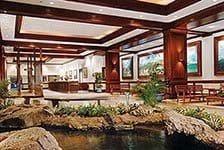 Maile Sky Court is designed for budget-conscious travelers who deserve friendly service, comfortable accommodations and a spectacular Honolulu location. Bask in the warm Oahu sun on our tropical sun deck, cool off in our glistening outdoor pool, relax in the hot tub and savor breathtaking views of the ocean, mountains and Waikiki from warm, welcoming hotel rooms and suites. 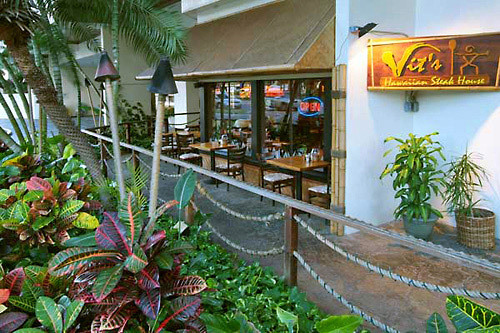 Stop by Vit’s Hawaiian Steak House for delicious island inspired cuisine, ono Hawaiian steak, and spirited mai tais. 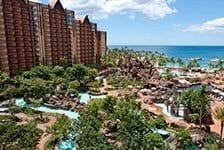 Our activity desk will arrange Honolulu and Oahu adventure tours that will captivate your spirit. Surrounded by the exciting shopping, dining and entertainment of Waikiki, Maile Sky Court features 596 comfortable hotel accommodations, including 8 suites, only 3 blocks from the white sands of Waikiki Beach and the Hawaii Convention Center. With commanding views of Waikiki, Diamond Head or the Pacific Ocean, our Waikiki high-rise hotel offers comfortable, moderately-priced accommodations with modern décor and thoughtful amenities that make your Hawaii vacation as easy as our spirit of aloha. All of our Waikiki hotel accommodations feature a refrigerator, coffee maker, hair dryer, iron/ironing board and telephone with voicemail. For cozy comfort and convenience, our studios feature kitchenettes with a 2-burner stove top, mini-fridge, utensils and a coffee maker. Our beautiful one-bedroom suites feature queen-sized beds and a private living area for entertaining or relaxing after some fun in Waikiki. Have you been to Aqua Maile Sky Court? Share your knowledge and be the first to review this.